Socrates and the Socratic Dialogue, edited with Alessandro Stavru. This volume, in forty chapters plus introduction, is forthcoming with Brill in 2017. * Please see the Reception of Socrates page for the ongoing project titled The Brill Companion to the Reception of Socrates. This volume on Socrates and the Socratic dialogue focuses on the vast range of Greek and Roman authors who wrote about Socrates and the literary production of the first-generation Socratics. The first half of the volume includes chapters on Socrates’ contemporaries, especially the Sophists and comedians; his immediate students, the so-called “minor” Socratics; and Xenophon’s “Socratic” and “non-Socratic” works. The second half gives a richer and finer-grained assessment of later reception than any previous collection, with chapters on Aristotle, Aristoxenus, Epicurus, the Stoa, Latin authors, Middle Platonism, Diogenes Laertius, Neoplatonism, and Libanius. By reassessing these writers and their works – rather than organizing the contents around canonical themes and questions – this volume revitalizes oft-neglected testimony, reveals interpretative patterns, opens new avenues for research and reflection, and links the study of Socratic philosophy with the study of ancient intellectual history itself. The volume will be an inspiration to, and a necessary reference for, any scholar or student who wants to appreciate the breadth of Socrates’ influence, the contestation of his legacy, and his use as a model in subsequent philosophy. Bussanich and Smith, The Bloomsbury Companion to Socrates (Bloomsbury, 2012), attends almost exclusively to themes from Plato’s depiction. Vander Waerdt, The Socratic Movement (Cornell, 1994), stops at the Hellenistics and gives rough-grained attention to much of the immediate Socratic circle. Socrates served not only as a blazing icon for philosophy for 2500 years, from Plato to Proclus to Nietzsche – that is, for our history of philosophy. He also returned time and again to provocative, plausible, and conceptually deep philosophical views. Yet the nature, details, and promise of those views has been obscured, of course by textual loss, but significantly by their very fertility and controversiality. From the start, his students, allies, biographers, and critics aimed to understand his views but at the same time to draw certain aspects into argumentative relief. This highlighting occurred with as much tendentiousness as analytic acuity. So reconstructing Socrates’ views takes reconstructing the views of his interlocutors; and the reconstruction of philosophy takes doing philosophy. Perhaps we need not discern Socrates’ views for the sake of historical veracity, or to bask in his aura, or to clarify a disciplinary mystery. But we should know them to account for the incredible power they exercised over some of our tradition’s most penetrating and creative thinkers, and to investigate whether his own assumptions and inferences might not contribute to our contemporary discussions of ethics, self-understanding, and methodology. There is a story to be told of philosophy as footnotes to Plato. There is a different story, I think, to be told of philosophy as a conversation with Socrates. I think that for many students, this story – a story of Socrates’ queries of his most energetic and ambitious friends and neighbors – is the most sympathetic and inspiring one. It is a story that opens to the possibility of metaphysics without assuming its necessity, that originates questions of epistemology without prematurely defining its terms, and that sets love, perception, and imagination in a practical life that takes thinking and contemplation as a precondition for the success of that practical life. This philosophical story about Socrates, from a more analytic perspective, gives an account of the Socratic paradoxes, where both sides of the paradox – the opposing beliefs – are given convincing defenses. These are paradoxes about virtue, knowledge, ignorance, and happiness. They raise the deepest questions: “how can talking about virtue contribute to one’s virtue?” “how can knowing one’s ignorance contribute to one’s knowledge in a non-trivial way?” “how can love for another person benefit both that person and oneself without falling to flattery, self-delusion, or, in growing closer to that person, a mediocre unity?” These questions animated the philosophical uptake of Socrates in the thousand-year history of Socratic Literature. This collection presents a comprehensive picture of Socrates and his followers in ancient Greek and Roman literature, from the comedies of Eupolis and Aristophanes, written during Socrates’ middle age, until the essays and treatises of Plutarch and Proclus, more than eight hundred years later. Each chapter addresses an author or group of authors whose work reveals something significant either about the historical Socrates; the thinking associated with Socrates and his nearest associates, especially the authors of ‘Socratic dialogue’; or the power and texture of the Socratic icon formed in this Athenian crucible and passed down, reinterpreted, and redeployed in the philosophy, biography, oratory, and literature of the ensuing generations. Across our forty chapters, our goal is neither to answer all questions about Socrates or ‘Socrates’, nor even to ask all the relevant, long-standing, or important questions. 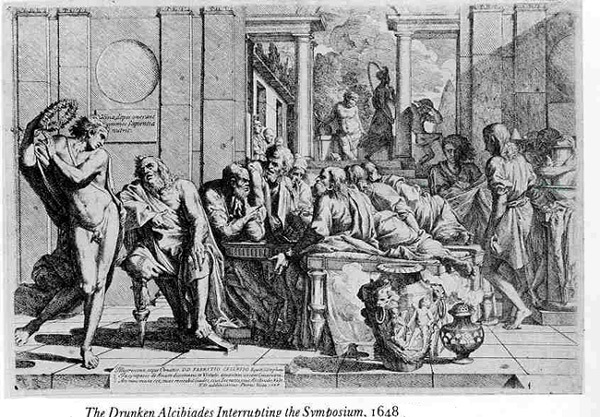 It is instead to bring into one place, for the first time, in English, and by a deep range of European and North American scholars, the remarkable sweep of sources, perspectives, and arguments worth considering by the present-day student of Socrates, the Socratic dialogues that rose around him, and their philosophical legacy. Socrates as meaningful particularly in his effect on others sets the theme for the Platonic Clitophon, a dialogue of disputed authorship but likely from before the late fourth-century BC. It opens with Socrates remarking to Clitophon on a rumor he has heard about himself. He says that the word is that Clitophon, in conversation (διαλεγόμενος) with Lysias, praised Thrasymachus’ company (ξυνουσίαν) over his time (διατριβάς) with Socrates. Clitophon disputes the rumor as misconstruing what he actually said. In fact, Clitophon says, he really loved being around (συγγιγνόμενος) Socrates, especially when Socrates rebuked everyone in his protreptic addresses on justice. These speeches, Clitophon holds, always woke their hearers up, convincing them that they should learn virtue and care for themselves. But to Clitophon’s ear, these exhortations seem not to teach justice itself but only how to exhort others in turn—that is, to make Socrates’ listeners into Socrates in their own right. Clitophon thinks he has confirmed his suspicion when he talks to the dedicated associates of Socrates, who do no better teaching him than Socrates himself. Indeed, the relationship between these men and Socrates he cannot quite discern; he admits to not knowing whether to call them ‘contemporaries’ (ἡλικιωτῶν), ‘fellow aspirants’ (συνεπιθυμητῶν), or ‘colleagues’ (ἑταίρων). After all this confusion, Clitophon decides that Socrates must either be hiding his knowledge of justice or be lacking it altogether. Now, Clitophon may be wrong when he asserts that exhortation to justice differs categorically from teaching about justice, and therefore mistaken when he claims that Socrates cannot be sharing his view of justice in those exhortations. But Clitophon may be right in his canny observation that Socrates’ legacy seems to be in a sort of self-replication, the creation of a like-minded circle of people who also care about justice and education. In fact, the Clitophon presents Socrates as notable in several ways. First, as in association with others—synonyms for sunousia proliferate. Second, as a practitioner in parallel to similar teachers, Lysias and Thrasymachus in particular, but also the intellectual class dedicated to praising justice and listening to those praises, a class we learn again about in Republic II. Third, as concerned ultimately with persuading people to care for justice, and doing so generally on his listeners’ terms. Finally, the dialogue shows Clitophon’s error in desiring only to know Socrates’ ‘real’ beliefs, thereby ignoring the social context and practical effect of Socrates’ way of living. ‘Socratic studies’ seen as a study of Socrates’ effect on others has as its subject matter much beyond the life of Socrates. It would include the appraisal of contemporaneous dramatic, historical, and oratorical references to Socrates and of the philosophical and related literary works of the ‘first-generation Socratics’, those whose lives overlapped, actually or effectively, with Socrates’. Unfortunately, time has ravaged nearly all of these references and literary productions. Besides the texts of Plato, Xenophon, and Aristophanes’ Clouds, we are left with at best fragmentary ruins, a good number of titles, and too often the mere conjecture that there was something where we now see nothing; in a word, the lingering aromas and sounds of a great multi-generation symposium for which Socrates was both member and emblem. So there is a paucity of contemporaneous reactions to Socrates, and yet what reactions remain are of singular value. Three avenues to dealing with his paucity present themselves. The first solution, and the most common in recent scholarship, is to linger in our reading of Plato, Xenophon, and Aristophanes. We squeeze from them what we can—their hints at those whose works were lost or who wrote no works at all, and the information that their generic form, argumentative proclivities, and topics of discussion give about the concentric circles of time and place around Socrates. This may include studies of marginal figures, like Chaerephon, or Socratic personae, like his ‘psychagogic’ personality. But it may also include studies of topics of central concern, such as ‘intellectualism’, ‘dialectic’, or Socrates’ views on particular virtues. The second solution is the relentless scrutiny of the scraps from, and testimony about, those contemporaries, competitors, and students of Socrates. Recent large-scale studies of thinkers like Prodicus, Protagoras, and Antisthenes exemplify this approach. Smaller-scale studies of people like Aspasia, Critias, and Bryson also fall in this category. Material sometimes comes in unexpected places. For instance, Herodorus, a historian and mythographer probably contemporaneous with Plato, wrote an extremely long book about Heracles. Heracles had become a hero for fifth- and fourth-century intellectuals, notably for Antisthenes. In that book Herodorus seems to have said that Heracles ‘philosophized until death’. He did so, it appears, having embodied the virtues of self-control with respect to anger, money, and pleasure, and more specifically by having defeated his unruly desires by means of steadfastness, sôphrosunê, and calculation. Herodorus’ sources and inspirations were broad; he was an eager aficionado of the literary boom in Athens and throughout the Aegean. But he may have concentrated his attention, at least in this case, on Antisthenes’ (now lost) works on Heracles. If so, we may gain some insight into Antisthenes’ view of ‘philosophy’, heretofore represented only by late anecdotes of dubious authenticity. With his view of ‘philosophy’ we may infer, perhaps, important features of Socratic (or post-Socratic) practice. The third solution is to rely on authors whose lives never overlapped with Socrates’. They may use sources close to Socrates otherwise lost or unknown to us, or participate in debates about Socrates’ ethical and logical commitments with background knowledge or habits informative about those before them, or see in the image of Socrates something worth noting that we happen to have missed. Writers outside the ‘Socratic circle’, and thus not as committed to preserving a certain image of Socrates, have the chance, too, of correcting for whatever distortions his companions may have introduced. The present collection adopts all three solutions to the difficulties in understanding Socrates, his times, and the memorialization of him in the decades after his execution. Nearly a dozen chapters take up the works of Plato and Xenophon. These chapters generally do not strive to investigate and exposit Plato’s or Xenophon’s Socrates as such. 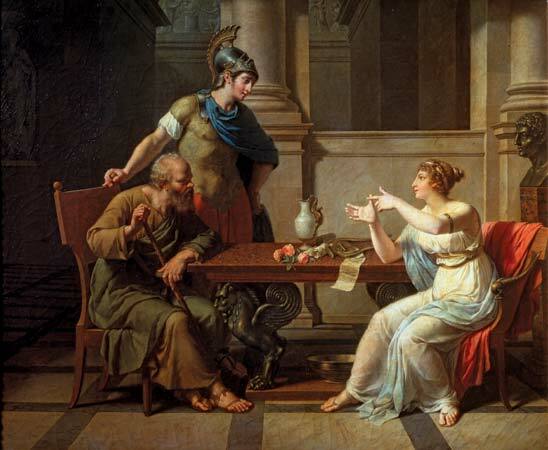 They try instead, each in their own way, to read that range of dialogues, reminiscences, and treatises produced by Plato and Xenophon as philosophical and literary contributions—sometimes analytic, sometimes apologetic, sometimes deliberative—informed by the life of Socrates and the events, arguments, and controversies around him, both those that contributed to his becoming who he was and those to which he or his friends directly contributed. Another dozen chapters take up the other major thinkers and writers around Socrates, most of whose written remains (excluding Aristophanes’ and Isocrates’) might seem to fit on rather few pages. These chapters investigate the methodological, scholastic, intellectual, historical, and philosophical evidence about the circle of Socrates that these fragments or more extended pieces provide us. Finally, a third dozen or so chapters take up later authors, not themselves participants in the Socratic era or the Socratic circle but beneficiaries, critics, or chroniclers of it, from Aristotle and Aristoxenes to Cicero, Themistius, and Diogenes Laertius. This sequence of studies addresses the varied uses to which these authors put the story of Socrates, and the evidence, interpretative framework, and overall evaluation each relied on. Addressing Socrates on these three fronts is a capacious ambit, to be sure. Accordingly, we have applied certain severe and at times depressing limitations. So much more could have been said about Plato. Besides foregoing discussion of a range of absolutely essential dialogues, we have left out assessments of his literary youth and poetic experiments, his letters, his academy, and the anecdotes about his life. In addition to the frankly overriding considerations of space, we have the excuse that scholarly investigations into Plato, while hardly complete in terms of Socrates’ influence on his life, are easy to find. By this we mean papers and monographs about Plato’s depiction of Socrates, his travels from and life in Athens as a response to Socrates’ trial and execution, his pedagogical goals and the positive or negative influence on them by Socrates’ strictly conversational approach, and the dialectical, epistemic, and metaphysical positions Plato propounds or depicts and their relationship with those of his predecessors and contemporaries. Even a bibliographic sketch of the topics we omit would overweigh this Introduction; we trust the reader may appeal to the references and scholarly apparatus of the few guides mentioned throughout the chapters on the Platonic dialogues and in this Introduction. The counterpoint to Plato in ‘Socratic studies’ is usually Xenophon, and in this context the leading question tends toward the reliability or insight that the works written by this historian and man of leisure provide us. Our papers deal head on neither with this question nor with the preemptive question about the sheer possibility or impossibility of hazarding an answer to it. Our justification parallels our justification for restricting the size of the Plato section. The literature on Xenophon’s Socratic or at least ‘philosophical’ works has grown in substance, rigor, and availability; while it would be worth contributing to this corpus of recent scholarship, our collection has comparative advantages elsewhere. We have attempted instead to assemble chapters on the most philosophically and generically interesting features of Xenophon’s Socratic (and para-Socratic) works. Thus instead of treating Xenophon solely to form a parallax angle on the historical Socrates, our collection’s authors have treated Xenophon as a member of the Socratic milieu, whose philosophical concerns, literary techniques, and characterizations reflect and reflect on that milieu. Thus even if Xenophon displays himself, or Plato and Antisthenes, or his audience, more than he provides a window onto Socrates of Alopece, still, Xenophon himself, and the first-generation Socratics, and early fourth-century literate Greeks are just as much objects of interest to us and, we hope, our readers.